From Aer Lingus to McDonald's, PRWeek features some of the campaign ideas from brands, agencies and other organisations to mark International Women's Day (IWD). The media brand has launched the #NotMyJob campaign, saying:"#NotMyJob is about saying that it’s not any woman’s job to have to do the same work as a man and be paid less for it; that it’s not any woman’s job to be expected to flirt with the boss or worse to get ahead at work. And it’s not any woman’s job to face pregnancy discrimination or be penalised for choosing motherhood alongside her career." 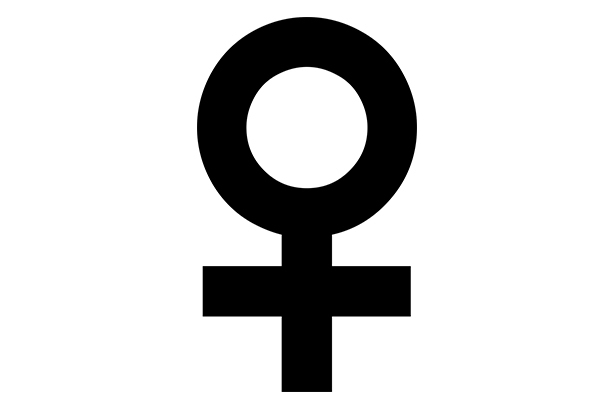 Omnicom, the marcoms holding company whose PR agencies include FleishmanHillard Fishburn, Ketchum, Porter Novelli and Portland, has used IWD to release the gender split on its boards. The company said its UK senior management teams and boards comprise an average of 48 per cent of women, compared to the existing industry average of 30.2 per cent and the IPA’s (Institute of Practitioners in Advertising’s) target of 40 per cent by 2020. 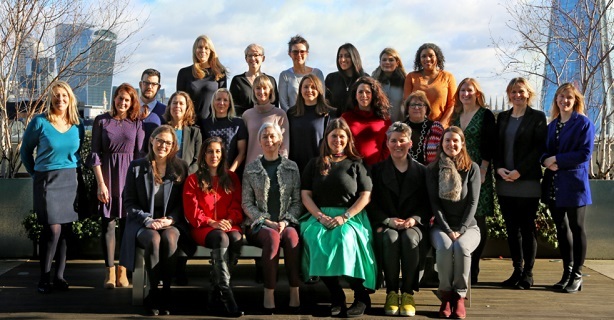 Omnicom today holds its fourth annual Omniwomen UK Leadership Summit, which is part of the Omniwomen initiative, designed to increase the influence and number of women leaders across the network. The firm said that since 2015's launch of Omniwomen UK, female representation in senior management across Omnicom companies has increased from 40 per cent. The theme of the Summit this year is 'Take it On' which aims to encourage women to ‘take on’ being positive role models to create lasting change. BA is showcasing its female workforce by launching what it says is the first "end-to-end female flight", in a campaign headed by TV star Carol Vorderman. The Royal Navy has released a video in its "Made in the Royal Navy" recruitment campaign aimed at showcasing opportunities for female recruits. "Louise’s Story" demonstrates the breadth of opportunities, from flying a helicopter to driving a speed boat, fixing an engine, or running a warship as its Captain. Created by WCRS, it follows the story of a young woman whose experiences the Royal Navy said exemplify the possibilities a career in the Royal Navy can offer, regardless of gender. It is also running a Facebook Live broadcast at noon today. The creative agency FCB Inferno has launched a new deck of cards, called Queen Rules, in which the queen outranks the king. Women portrayed include Holly Willoughby, Claudia Winkleman (both pictured above), Alison Hammond, Tess Daley, Victoria Derbyshire and Janet Street-Porter. The campaign is running with support from Unibet. #QueenRules is a new way to play cards where Queens outrank Kings. The UK's double Olympic boxing champ Nicola Adams has teamed up with the iconic doll maker. 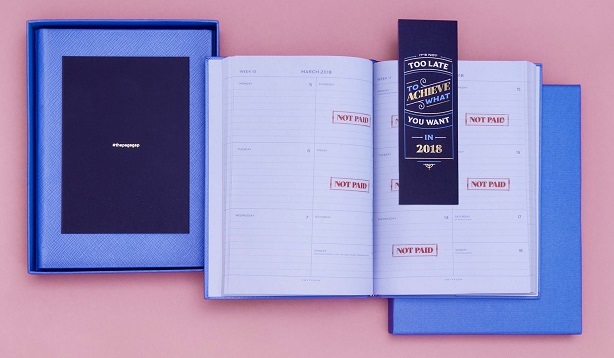 Irish creative agency Rothco (recently acquired by Accenture Interactive) has created a collection of Smythson diaries highlighting the gender pay gap, which will be sent to "women of influence" in Ireland, the UK and elsewhere on IWD. Seven weeks of the diaries are marked with a large red ‘unpaid’ stamp creating a page gap that mirrors the gender pay gap - seven weeks is the average number of weeks that women effectively work unpaid relative to their male colleagues. The diary includes a bookmark on 8 March with the message: "It’s not too late to achieve what you want in 2018." The campaign uses #thepagegap hashtag. The Federation of Small Businesses is raising the visibility of role models for women entrepreneurs with a digital campaign called 100 FSB Women.